The Galaxy J1 Mini Prime is the latest entry level smartphone launched by Samsung in Pakistan. According to price, the specs of the phone are quite decent. Block, white and gold are the three colors in which this phone is available. Rs. 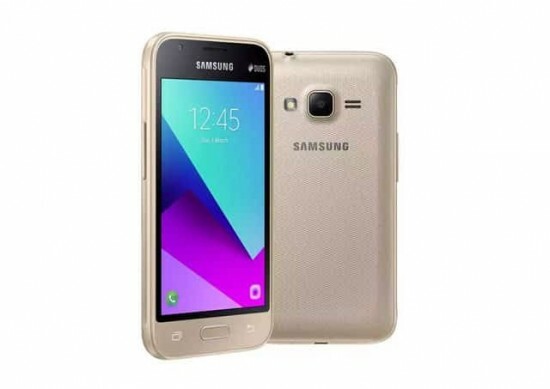 9,999 is the price of Samsung Galaxy J1 Mini Prime in Pakistan. There is an enhancement in memory and performance claimed by the company in Galaxy J1 Prime. 1 GB of RAM and 1.2 GHz CPU is in the device. There is an 8 GB built-in storage that can be expanded by using microSD card up to 128 GB. There is a 4” display with 480 x 800 pixels resolution (233 ppi) on the front. This small size of the device helps you to use this phone easily with single hand. The camera of Galaxy J1 Mini Prime is also better as the 5 MP primary camera takes clearer pictures with LED flash and a wide aperture of f/2.2. There is a VGA camera with an f/2.4 aperture on the front. The camera of Galaxy J1 Mini Prime launches the camera with double tap. The battery life of its 1500 mAh battery is prolonged by using Samsung’s Ultra Power Saving mode. Through this system, all the unneeded features and apps are closed and display is present in black & white.